The Bay Islands of Honduras are the Caribbean Jewel of Central America. The Bay Islands of Honduras have an interesting heritage. At at times they were part of the Spanish Empire and at times part of the British Empire. In the end, they Brits ended up keeping the islands. In the mid XIX century, geopolitics where centered on building a canal across Central America. The US pressured the British Empire into relinquishing its colonial interests in the area. 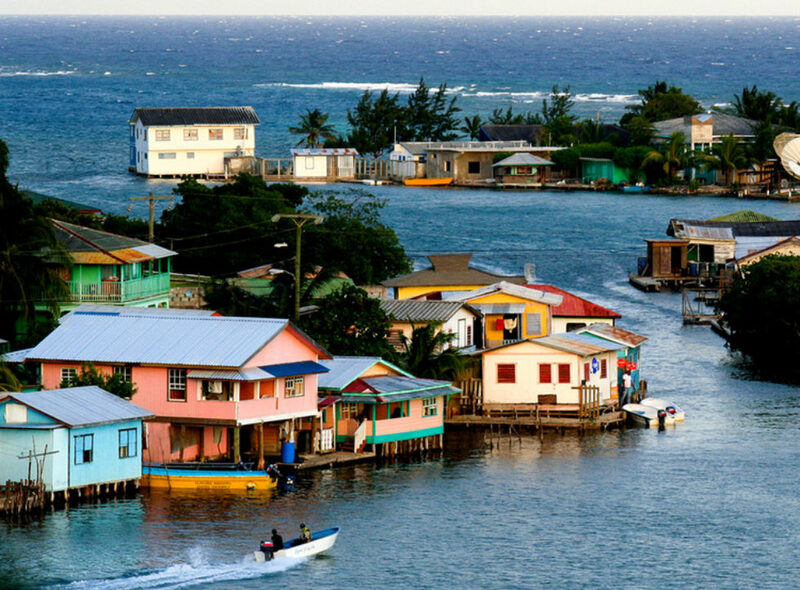 Although the kept Belize, they turned the Bay Islands over to Honduras under the treaty of Comayagua. The treaty was signed on the 28th of November, 1859. They also turned over the Moskito Coast protectorate to Nicaragua under the treaty of Managua. Because of its British heritage, English is widely spoken by the Bay Islanders. (The US had its mind set on Nicaragua to build the canal, using the San Juan River and Lake Nicaragua as part of the route). As a British Colony, the there was even a Bay Islands flag! As such, the Bay Islands became part of Honduras, much to the dismay of Honduras who did not really have the desire or time to deal with this new territory. Over the years, the department of the Bay Islands came to be. It includes the whole archipelago of the Bay Islands, which consists of 8 islands and a series of cays. The islands that form Bay Islands are Utila, Roatan, Helene, Morat, Barbareta, Guanaja, as well as Big Hog and Small Hog, aka Cayos Cochinos. Of these, Utila, Roatan, Helene, Guanaja and Big Hog have full time residents. he others are either private or have a national park status. The Bay Islands are Central America’s Caribbean Secret. They lie roughly parallel to the Caribbean coastline of Honduras and are approximately 30 miles (48 Km) away, with Utila and the Hog Cays being closer and Guanaja farther away. The three main islands: Roatan, Utila and Guanaja have an airport with regularly scheduled air service. Of these, only the Roatan Juan Manuel Galvez International Airport receives regularly scheduled international flights. There is a regular maritime service between La Ceiba in Atlantida and the Bay Islands of Roatan and Utila. Ferry passages operate twice a day and take approximately 1 hour to Utila and 2 hours to Roatan. There is also a ferry operating twice a week between Utila and Roatan. Maritime service between Guanaja and the mainland is available from Trujillo, located east of La Ceiba. There is also a ferry operating twice a week between Guanaja and Roatan.